UFCW Local 401 requires a new Walking Steward responsible for but not limited to: co-chairing joint committees, training management and members, dealing with grievances, facilitating Union orientations, conducting investigations, observing working conditions, and representing members in the workplace according to the standards of UFCW Local 401, as determined by the Northern Director and Union Representative for the Gateway Casinos. This role must provide efficient and effective representation of employees. The Steward will be responsible for providing reports and workplace plans to the Northern Director and will work in conjunction with the Union Representative assigned to service the Gateway Casinos. Compensation: The Walking Steward wage rate will be based on an amount equal to the top rate of the floor supervisor – with craps classification. All seniority will be continue to accrue during the time acting as Walking steward as well as all other rights and privileges under the Collective Agreement. 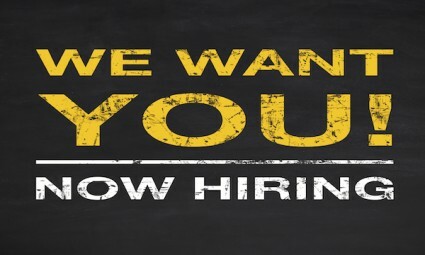 Qualified applicants should contact UFCW Local 401 at rstewart@ufcw401.ab.ca no later than September 4th, 2015. 1. Customer Focus: Ensures and maintains member satisfaction with the product and services offered by the organization. 2. Communication: Clearly conveys information to a variety of audiences using the tools necessary, engaging the audience to ensure the message is delivered and understood, creating a positive first impression with confidence and respect. 3. Energy and Stress: Consistently demonstrates high level of drive, infectious to the surrounding environment, and preserves effectiveness, drive and focus for extended periods of time, while maintaining composure in highly stressful or adverse situations. 4. Team Work: Promotes cooperation and commitment with the team towards the attainment of common goals. Gets others excited about and committed to furthering the organization’s objectives. Enables cooperative and productive group interactions. 5. Quality Orientation: Completes tasks keeping in mind all aspects involved regardless of magnitude, checks tasks and processes while having attention to details. 6. Problem Solving: Resolves difficult and complicated challenges. 7. Accountability and Dependability: Takes personal responsibility for the quality and timeliness of work and achieves results with no oversight, including following guidelines, standards regulations and principles. 8. Creative and Strategic thinking: Strives for innovation, is goal oriented, thinks outside the box and is analytical. 9. Ethics and Integrity: Earns the trust and respect of others through consistent honesty and professionalism in all interactions. Diplomatically handles challenging or tense interpersonal situations.